Nedir Bey supporter Basheer Fard Muhammad stands security at Your Black Muslim Bakery before its demise (Oakland Tribune file photo). Despite racially charged demands for more time from a longtime Your Black Muslim Bakery associate and his supporters, the BART board of directors voted Thursday to give a lighting-improvement contract to another firm. Nedir Bey complained that BART staff members gave him inadequate time — seven working days — to secure a state-required performance bond to guarantee the work after the board had directed last month that his firm, Solar Eclipse, get half of a two-station contract. “This whole bonding issue is extremely unjust,” said Bey, who later asked for 30 more days. But BART staff members said Bey knew of the bonding requirement since September, and because Solar Eclipse lacks a contractor’s license and the joint venture it formed for the job has disbanded, another extension would jeopardize the project’s state funding. Seven of the board’s nine members voted to redirect Bey’s contract to LINC Lighting & Electrical Group of San Jose. Director Carole Ward Allen was opposed, and Director Lynette Sweet abstained. 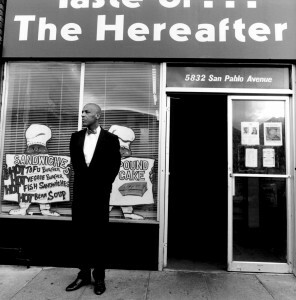 Bey, 48, born Victor Rene Foster, was a confidante and “spiritually adopted” son of the late Yusuf Ali Bey, founder of Your Black Muslim Bakery. Once a respected community institution, the bakery has been linked to decades of fraud, abuse and violent episodes including several homicides. Nedir Bey’s own background includes a $1.1 million Oakland city loan in 1996 that was never repaid and City Council campaign matching funds questionably raised and spent in 2002, all after a felony conviction from a 1994 incident in which he and others attacked someone. Solar Eclipse in September bid on a contract for lighting and energy-efficiency improvements at the 12th Street-Oakland City Center and North Berkeley stations. Bey said he never received updated information that BART staff members say they sent to all bidders, and so his bid — the lowest of three, and the only one under BART engineers’ estimate — was rejected. The project was reworked and rebid; this time LINC was the only one under the in-house estimate, so BART staff members recommended that it get the contract. But Sweet, Ward Allen and Drector Bob Franklin refused Oct. 22, blaming BART staff members for letting the bid process get so close to the Oct. 31 funding deadline and for letting a paperwork error foul up a low bid from a minority-owned local small business. Berated by Bey and supporters citing BART’s admittedly poor record of using minority contractors, the board voted 8-0 that day to split the contract: Solar Eclipse was to get up to $1 million worth of work at the North Berkeley station and LINC got the 12th Street station work for $1.6 million. A dozen speakers and at least a dozen more audience members supported Bey on Thursday, many raising the racial rhetoric beyond last month’s levels. Idiots. We are idiots. We will do anything, anything, anything at all to avoid the accusation, even from other idiots, that we are racists. God forbid that we should have to face the stern stentorian voice of Katherine Hepburn roundly and soundly condemning us for our Neanderthal legacy as in “Guess Who’s Coming to Dinner?”; Or is it that we fear being hailed and buffooned by our fellow citizens as the new up and coming Archie Bunker? Are we afraid, if we aren’t like those sycophants who nervously orbit bullies, that the idiots might turn on us for standing up to them and simply saying, “Race has nothing to do with this issue. I am not, nor have I ever been, nor will I ever be the racist who you seem to want me to be. The racists who tortured you and left the unhealed scars that some of you still know first hand- those racist men and women have gone and I don’t know who they were or where they went. But I know I am not them. I may look like them, but to assume that I’m racist because my skin is white is, well…racist. In fact, as a man aged fifty, I’ve been the target of some very violent experiences that were overtly racist, committed by Black people who openly admitted it was because of the color of my skin. When I was a young man, I was dragged down an alley by more than two dozen people who wanted to have some fun with “whitey”. I was tortured. Just because I passed the wrong playground at the wrong time. In the ensuing twenty-nine years, I have yet to meet a Black man my age who has had a similar experience, and I’ve asked around, believe me. I deserve to be a racist, I have every right to be one, I earned it with every beating that I took back then, and there’s a lot of people who would go that way I guess. But you do know? I’m not. I admire African American culture and I’ve lived in and around integrated neighborhoods my entire life. Why? The only racists that I ever met don’t know a damn thing about the folks they hate, and that’s what makes them idiots. When people get so caught up in their self constructed worlds, that they no longer have even any common vocabulary to confer rationally with others on the outside their own, it’s not stupid, Stupid, it’s idiotic, and we’re idiots for putting up with this obvious conman, Nedir Bey. There is no racism where a contract is denied due to fraud. It’s obvious that as soon as things aren’t going his way that Nedir and his associate cry “racism”. If the other company and/or it’s staff had defaulted on a million dollar loan, not followed the directions on the bid, and had felonies that would make bonding impossible, and still was awarded the bid – THAT would be racisim. What BART did was correct at first – they were wrong when they split the contract. What I want to know is how any unlicensed and unbonded company was even allowed into the bidding process. It should have been weeded out at the beginning – minority company or no. There are certain parts of a bid requirement that should not be disregarded – the legality of the company is one of them. Without a legitimate license, the company is not legitimate. I have a feeling that had the other company been a minority company, Nedir’s company would have used “Religious discrimination” for an excuse to try to get in the contract.